Hayya Lovelies. 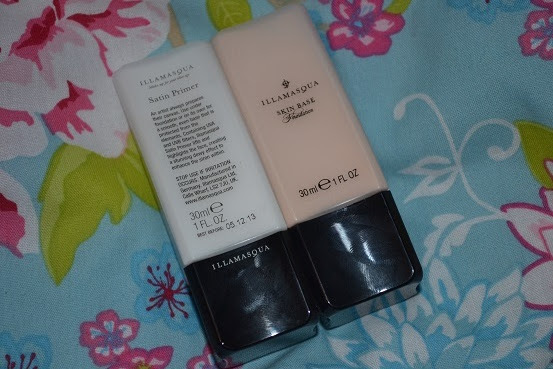 Today's post was going to be a foundation match video but I had another no makeup day today as i'm still ill so decided to do sundays post and swap them around, so today i'm doing a small illamasqua haul. As a Makeup artist I have tried many different brands and grew to love illamasqua a lot for there crazy colours and there wonderful campaigns, Illamasqua products are slightly more expensive than mac but right now I would pick them for my kit for some things over mac. So as you can tell I only got 4 things, Its a lot for some but little to others. 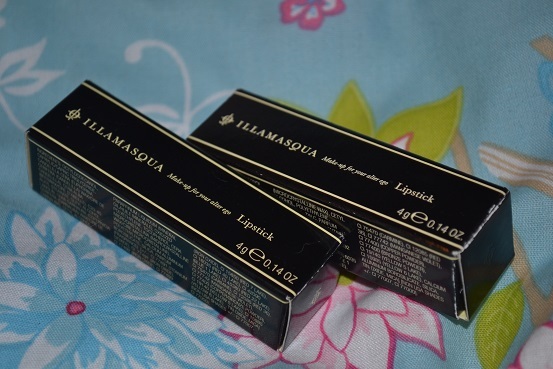 To tell the truth I would of bought alot more but I dont have much money right now and i'm moving to edinburgh in the summer and going to imats so have to save like crazy, the good thing is I actully get 40% off illamasqua for being a makeup artist. So I bought two face products for myself. 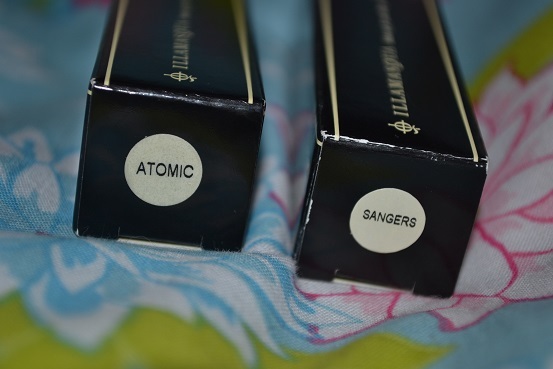 I needed a new foundation as my belovid nars sheer glow is totally gone, I have used two full bottles of that baby and will miss it a lot but thought it was time to try somthing else, I also needed a new primer as I had ran out of my smashbox photofinish. I then got Satin Primer as I have dry exima prone skin and I need a base other wise foundation dose not sit well on my patches of exima. £13.50 or so. I got Atomic which is a pink with red tones. its so pretty and I all ready know what shoot I will be using this in. Sangers is a pure red colour its matte and has more of a orange undertone to a blue. 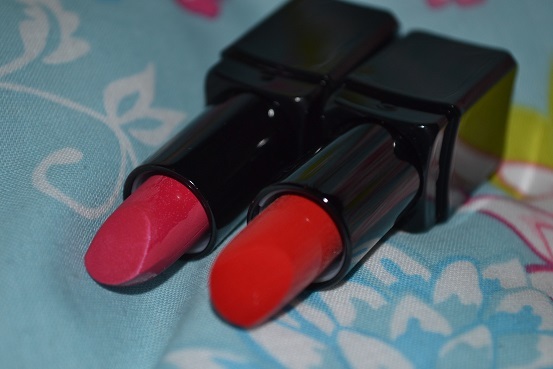 both these lippys are for my kit. 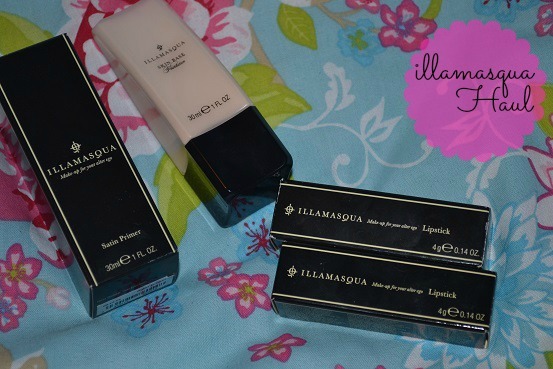 So thats my haul, hope you enjoyed and let me know if you have bought anything from illamasqua lately.